Today, engineers have to deal with multiple layers of verification that converge into the “perfect storm,” when they test new technology to answer the question: Does the proposed design do what is intended? Does it conform to specifications? What new safety features does your new vehicle or office security system have? How many times have you replaced your cellphone model in the past 10 years? New and better – that is what drives manufacturers to design new products, for us to use, and for industries to improve their operating systems. The crucial and complex process of verification is essential to check that every component, every element, and every step runs smoothly alone and seamlessly together. 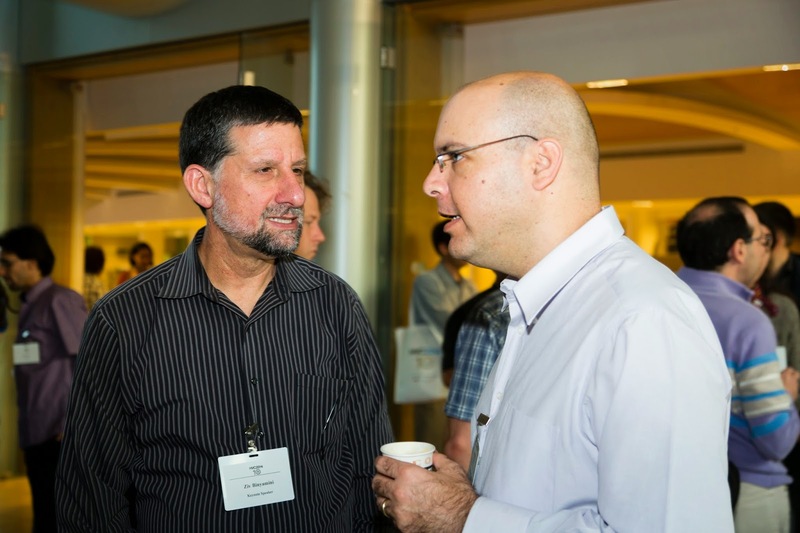 Hosted by IBM Research – Haifa, HVC 2014 offered three days of talks and tutorials that outlined shifts in trends and highlighted advances in the field. This was a sharp contrast from the first HVC conference 9 years ago, back in what Ziv Binyamini, the CTO for System and Verification Group at Cadence, described in his 2014 keynote speech as the “stone age” era of verification, a time when verification was not yet the challenge it is today. The ubiquitous smartphone, for example, has more computer power, memory capacity, and faster processors than supercomputers that took up large halls only 20 years ago—even those used to guide early space crafts to the moon. Functional verification for NASA, the aerospace industry, the military, our everyday transportation systems, are only some of the integrated systems that verification engineers have to deal with looking forward, besides all the electronic systems we use on a daily basis. And it only gets more complicated. Over the last two decades, assets developed by IBM Research – Haifa have served as vital verification tools for more than 100 major IBM hardware programs. These innovative technologies saved hundreds of millions of dollars in development costs by enhancing quality and reducing the time and personnel required to find bugs before hardware goes out. Ronny Morad, general chair for HVC 2014 and manager of systems verification technologies at IBM Research – Haifa, stressed the importance of the annual HVC interactions, to continue the successes and collaborations, and to create synergy between industries with the same problems and requirements.